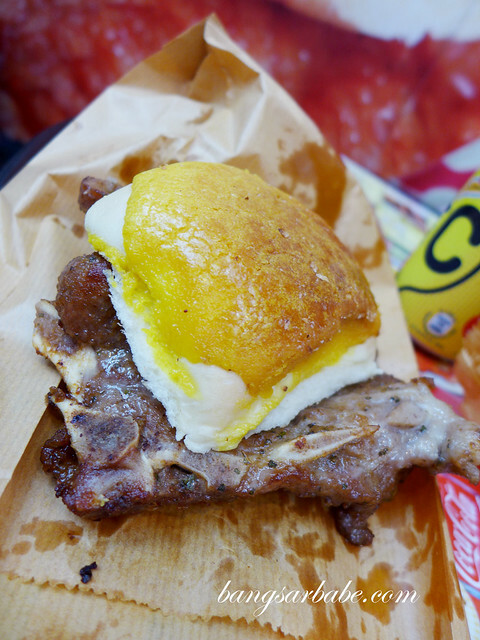 Like the Portuguese egg tart, another item to try in Macau is the pork chop bun from Tai Lei Loi Kee (although you can now get one in KL). 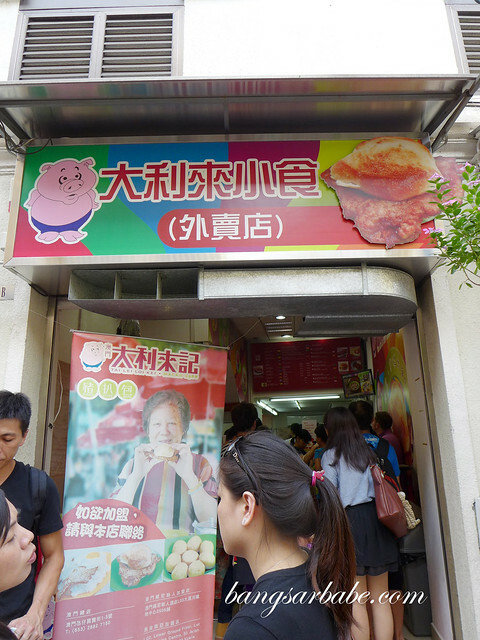 Walking along the busy streets of Macau, I spotted throngs of people with a pork chop bun in their hand. So I gave it a try. I went to the outlet at the bottom steps of Ruins of St. Paul and ordered two versions – pork chop bun and pork chop polo bun – to compare. You basically get a thin piece of pork chop sandwiched between a bun. No frills. The plain bun was dry and hard. Good thing the pork chop was juicy and well flavoured. 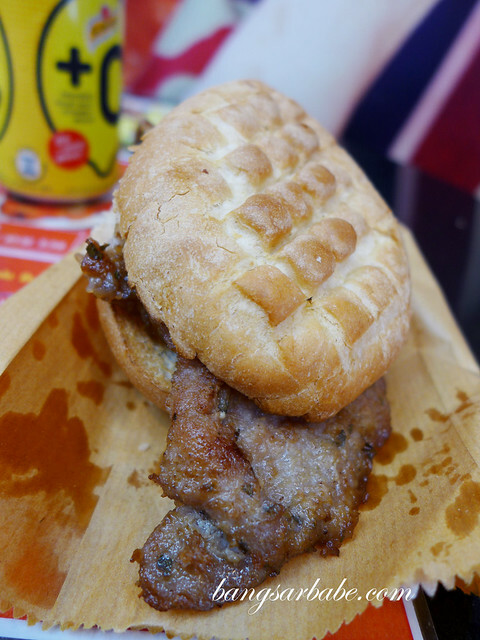 I rather enjoyed the pork chop polo bun, featuring the same pork chop but in a buttery-sweet bun. 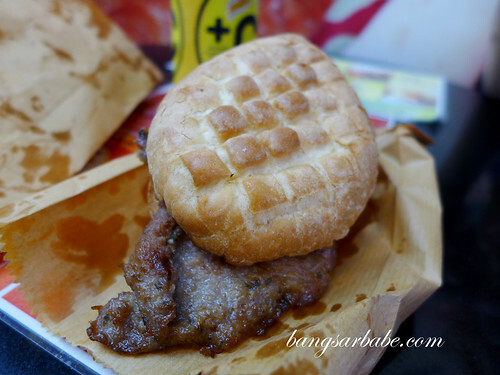 I thought the sweet crust of the bun complemented the saltiness of the pork chop. 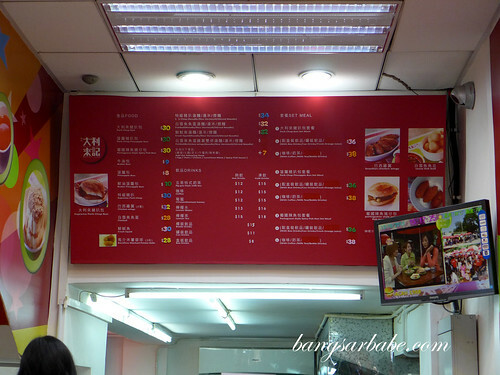 Is Tai Lei Loi Kee, KL pork chop bun taste similar to the one in Macau?